I watched Friends when it was on the air. The only episode I remember was the one where Jennifer Aniston was dressed like Princess Leia in that gold bikini. 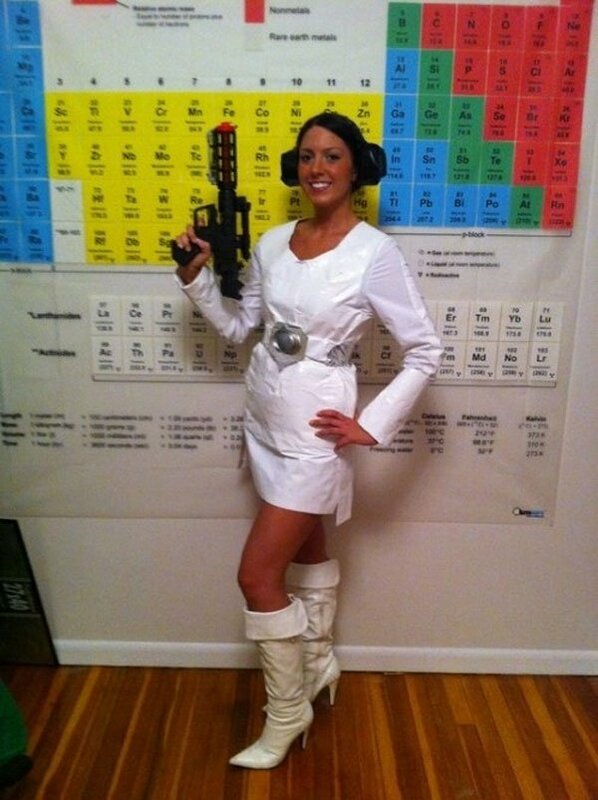 I think it’s safe to say that every geeky male fan of Star Wars has wished at some point that he could talk his girl into wearing that costume. 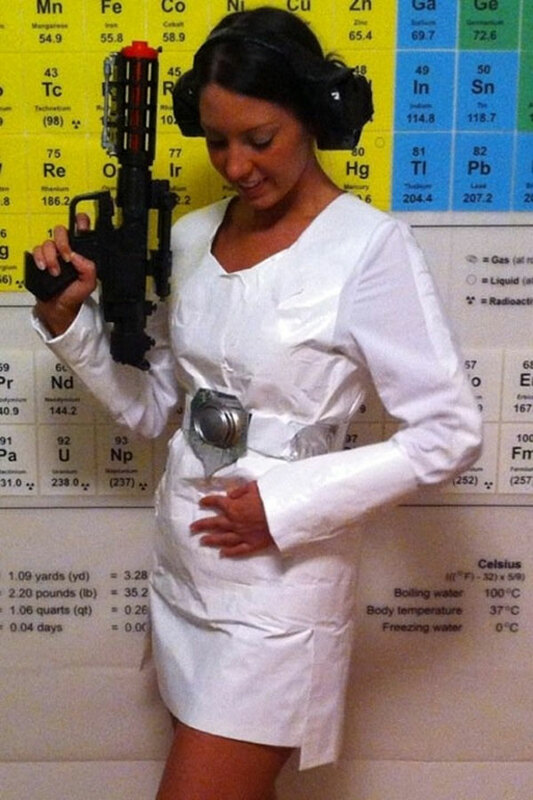 Lindsay Boo Barrasse has made her own Leia costume. It’s not the Slave Leia getup, mind you, but a mini-skirt version of the white dress Leia wore in the flick. Lindsay created the dress out of white duct tape and then wore it out on the town. The tall boots aren’t tape, but the hair rolls are. The Leia buns are made from duct tape that are stick to some sort of headband. She topped it off with a laser pistol look-alike. I am hoping she does the gold bikini next time out. 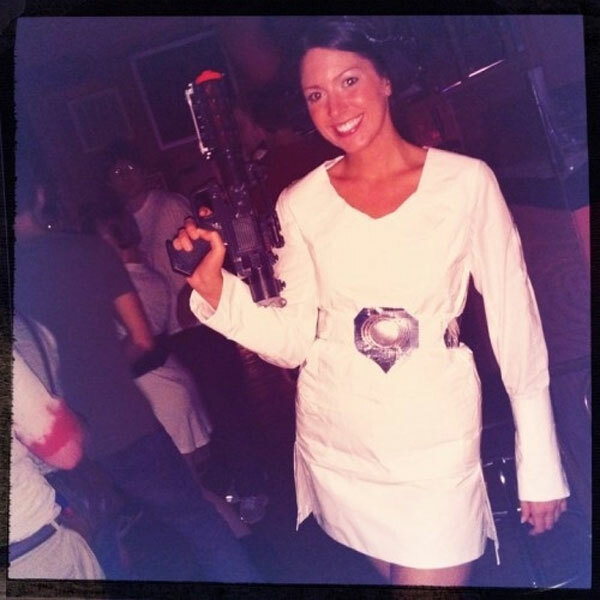 Lindsay, your Leia costume rocks!